Hidden object puzzle-adventure with live video. Is there a better alternative to Mystery Case Files: 13th Skull? Is Mystery Case Files: 13th Skull really the best app in Adventure category? Will Mystery Case Files: 13th Skull work good on macOS 10.13.4? 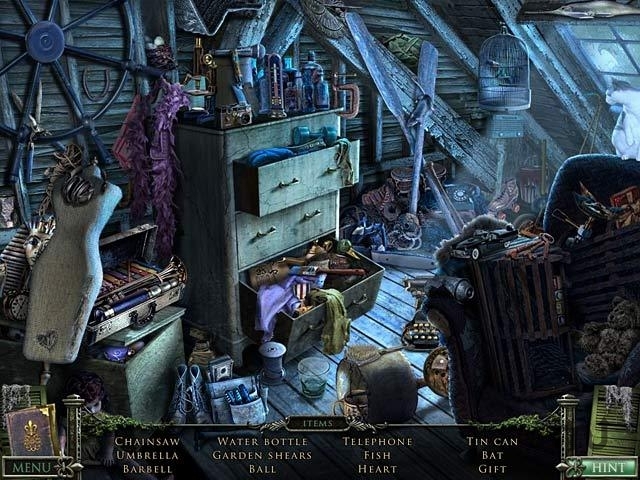 Mystery Case Files: 13th Skull...Shortly after moving into a creepy mansion in Louisiana, Sara Lawson is struck with tragedy when her husband mysteriously disappears. Sara's daughter, Magnolia, believes her father was kidnapped by the ghost of a vengeful pirate seeking to protect his lost fortune. With the locals terrified of the pirate's curse, you are the family's last hope. Only a Master Detective with incredible Hidden Object skills can locate Marcus Lawson in Mystery Case Files: 13th Skull! Mystery Case Files: 13th Skull needs a review. Be the first to review this app and get the discussion started! Mystery Case Files: 13th Skull needs a rating. Be the first to rate this app and get the discussion started!